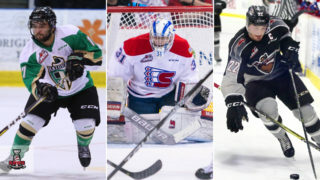 Prince Albert, SK – The Prince Albert Raiders completed a trade with the Prince George Cougars on Friday. 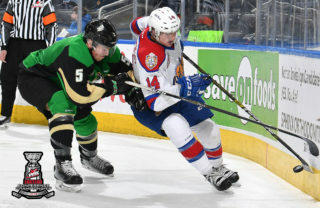 The Raiders acquired 1999-born defenceman Max Martin and 1998-born winger Kolby Johnson from the Cougars in exchange for 1997-born defenceman Brendan Guhle. “We want to thank Brendan Guhle for his contributions in the community and on the ice. He was a fantastic Raider,” said Raiders general manager Curtis Hunt. “We wish him luck through the playoffs and his professional career. Martin was drafted in the second round of the 2014 WHL Bantam Draft by the Cougars. In 19 games this season, the Winnipeg, MB product has three goals and four assists. He was set to represent Canada at the 2015 World Under-17 Hockey Challenge, but missed the event due to injury. He also captained Team Manitoba to a bronze medal at the 2015 Canada Winter Games, picking up four assists in six games. Johnson was the Cougars’ selection in the third round of the 2013 WHL Bantam Draft. 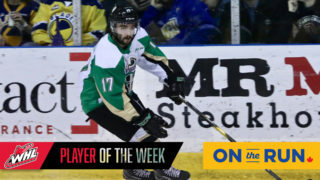 Hailing from Kerrobert, he has suited up in 47 career games with Prince George. In those contests, he has a goal, three assists and 81 penalty minutes. The Raiders also acquired a first-round pick in 2018 and a third-round pick in 2019 in the deal. 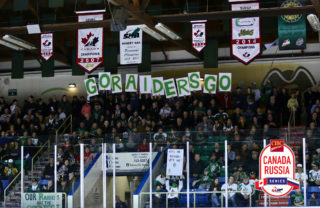 The Raiders return to the Art Hauser Centre for two homes games. On Wednesday night, they host the Swift Current Broncos in a 7 p.m. start. 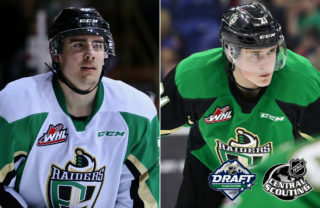 On Friday, the Raiders take on the Medicine Hat Tigers on Saskatchewan Rush Night. 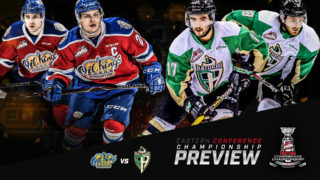 For tickets, visit the Raider Office, call 306-764-5348 or visit raiderhockey.com.